“Hang on to your hats and glasses ’cause this here’s the wildest ride in the wilderness.” Travel on this rollicking mine train through an Old West mining town for a rip-roarin’, thrill-a-minute ride. This is an interesting postcard image because of it’s non-traditional shot of the attraction vehicle. Maybe it’s that the train is going down a small hill instead of the more traditional lift hill shot. 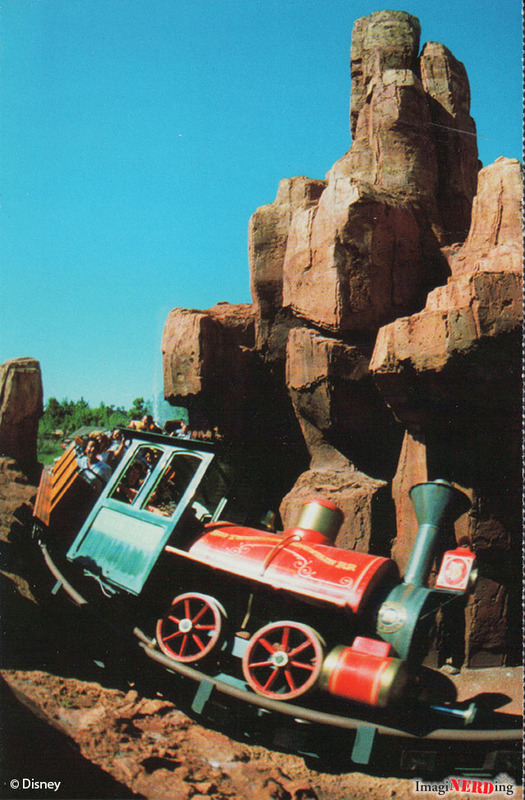 What do you think about this postcard for Big Thunder Mountain Railroad? Press Release: Vinylmation Pixar Villains Series 5 Descend on Disney Store!